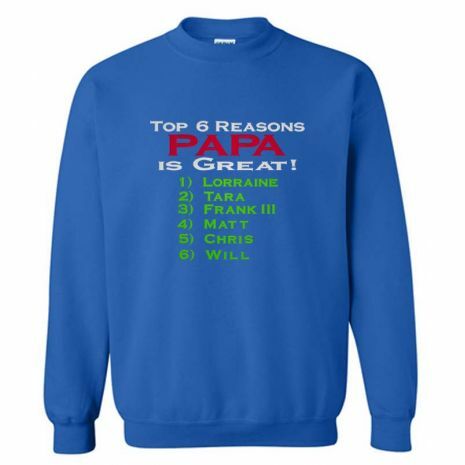 You know the "Top Reasons" why you are great! List them to the world! All the Children's or Grandchildren's Name will be listed on this shirt.This will be custom embroidered on a heavy weight Ultra-Blend sweatshirt featuring pill-resistant, air jet spun yarn. The cuffs and waistband are 1 x 1 Lycra ribbed. Available in sizes; S, M, L, XL, 2XL, 3XL. (Add $3 more for 2XL or 3XL.) 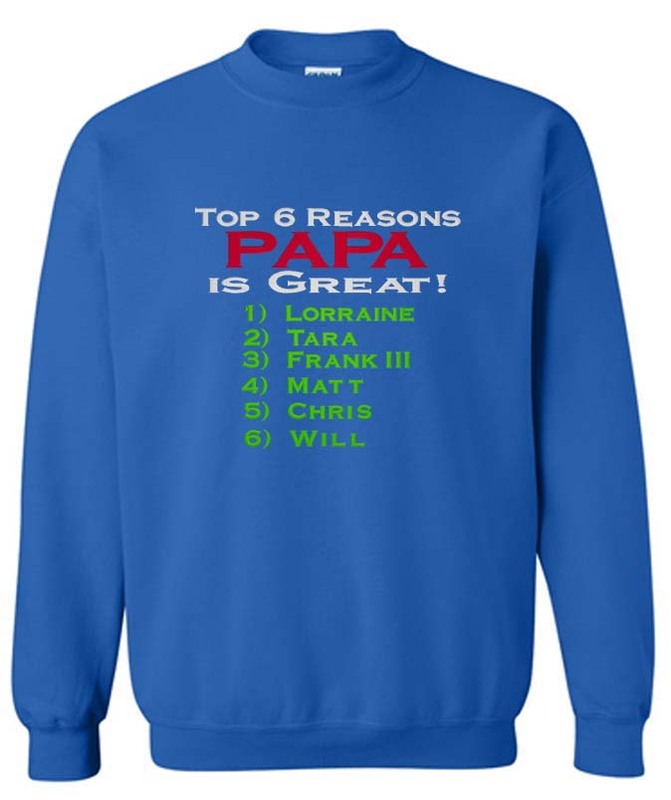 We can embroider any grandparent's or parent's nickname (example: Grandma's, Nana's, Grandpa's, Papa's, Dad's, Mom's) If you need more than 8 children's names, please call 845-821-6183 for a price quote. 1. Select the number of Children or Grandchildren. 2. Select the shirt size. 4. Type in the Children or Grandchildren's names in the name box. 5. Enter Qty and Click "Add to Cart."